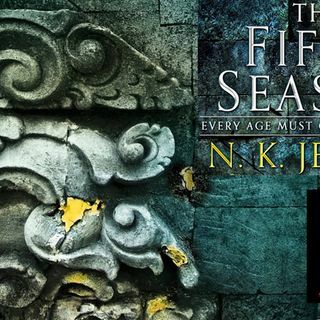 Many thanks to Ashlyn for commissioning the next episode of The Fifth Season, and for introducing me to this beautiful, heartbreaking book. Also I want to apologize again for having to reschedule, which is always a bummer. Hopefully it will not happen again. This episode, Ashlyn asks me to revisit the interlude and see if there's anything that I notice about it. She has something in mind that is a theory for coming books (Ashlyn hasn't read the others as of yet) and she's ... See More curious to see if I am of the same mind that she is. I'm not sure if I answered your question, Ashlyn, but let me know! We are with Essun again in this section, and she finally gets to see what's going on with Hoa and the fact that he has some really weird abilities. Also, it seems that they may have added another person to their little band, although I'm hoping that they can convince her to take a dunk in the creek. Also, Syenite and Alabaster finally reach their destination, and Alabaster can't resist being a bit of a hardass. It's really fun to watch, but it almost results in his death, so I guess you could say I'm ambivalent about that.